This orchid is similar to both Neotinea lactea and Neotinea conica with which it can easily be confused. 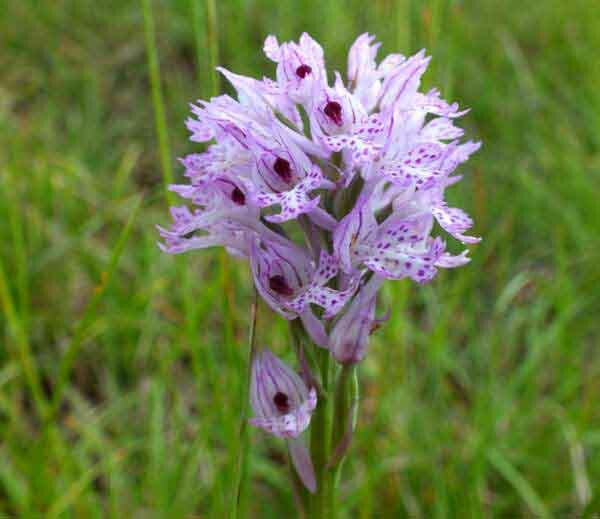 Neotinea tridentata, formerly known as Orchis tridentata, is a small but robust-looking plant which grows to around 25cm tall. It has 3-8 near-erect basal leaves with a further few (around 3) smaller leaves clasping the upper part of the stem. The inflorescence is dense and the number of flowers is variable from very few to around 30. The upper sepals and petals are white and have green veining. They form a hood above the lip of the flower. The lip is pale and covered with small red dots. It is deeply lobed and the edges are ragged or 'toothed'. 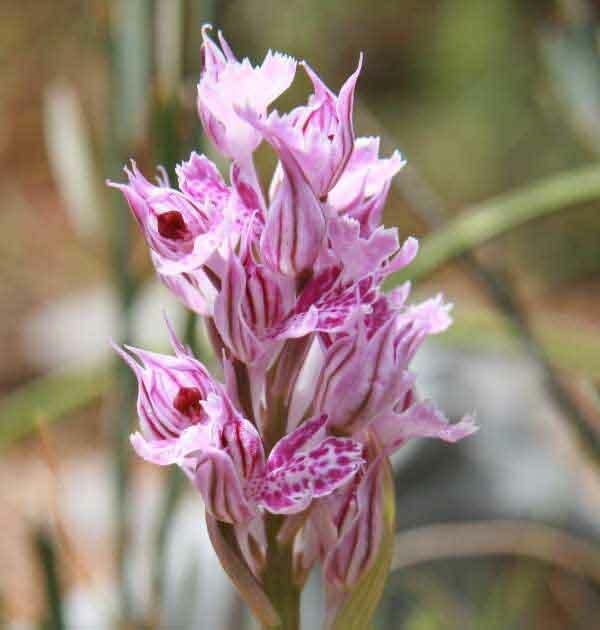 The range of this orchid is uncertain due to confusion with other the closely related subspecies mentioned above, particularly with N. conica in the western part of the Mediterranean. It is found in Crete and other Aegean islands, Greece, Bulgaria and italy among other southern and central European countries. 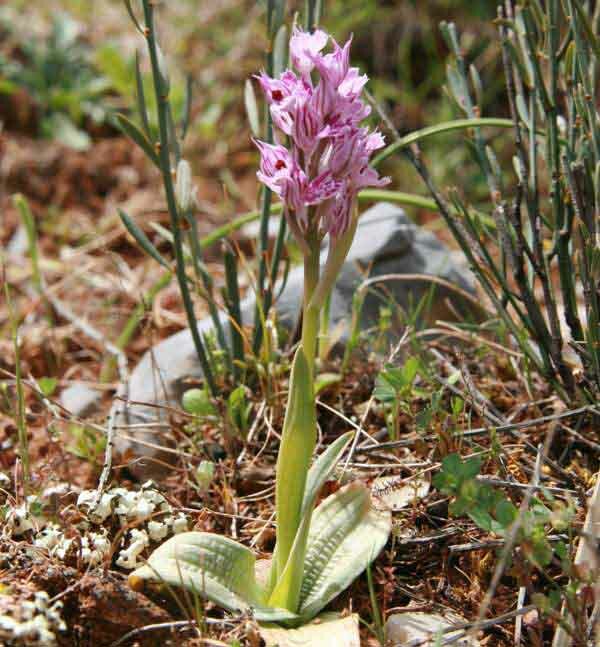 This orchid likes full sun or mid-shade conditions and will grow in open grassland, phrygana (garrigue) and open woodland or even in quite dense thickets. It flowers from March until the end of April. The plants shown on this page were photographed on the northern coast of Crete in early April.